I think that my brain is broken. I feel like I’m on autopilot and can’t seem to stop myself. I’m…doing things, of my own free will, but at the same time, it’s out of my control. Was this all part of their plan? Am I just a puppet to them, two hands and two eyes that forked over money and can’t look away anymore? Did I just drool on my controller a little? Shoot shoot shoot, get loot loot loot, rinse, repeat. I wonder if this eye twitch will ever go away. Did I choose him or did he choose me? So, the cause of my little existential breakdown is the purchase of Borderlands: The Pre-Sequel. For those of you who don’t know, the Borderlands series is a group of 3 games in the shooter RPG category. Basically, you shoot enemies and complete missions to level up and improve your stats, allowing you to defeat harder enemies and more difficult missions. These games fall into the same category as Defiance and Destiny. I want to say, before anything else, that I enjoy these types of games. I really enjoy them, especially when playing with friends, but I think that they’ve caused a slight mental break in my cranium-space. Early-game spoilers ahead. I haven’t finished it yet, so I literally cannot spoil much. 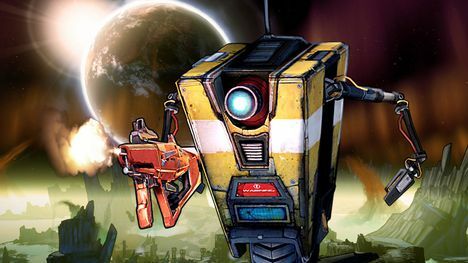 Borderlands: The Pre-Sequel, as it’s name suggests, takes place in between Borderlands and Borderlands 2. It tells the story of the rise of the Hyperion corporation on the planet Pandora, and fleshes out the history of “Handsome” Jack, the antagonist of Borderlands 2. 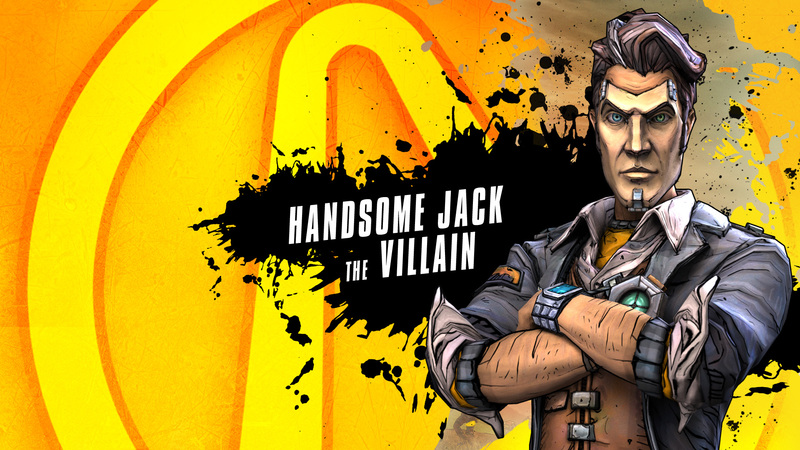 “Handsome” Jack is a great villain in Borderlands 2. He’s dangerous, funny, and more than a little crazy, which makes his introduction as simply “Jack” in the Pre-Sequel all the more interesting, as he’s portrayed as a man who wants to save innocent civilians and protect people. This is a stark contrast from the man we got to know in Borderlands 2, and it makes me wonder just what caused Jack to turn into “Handsome” Jack. 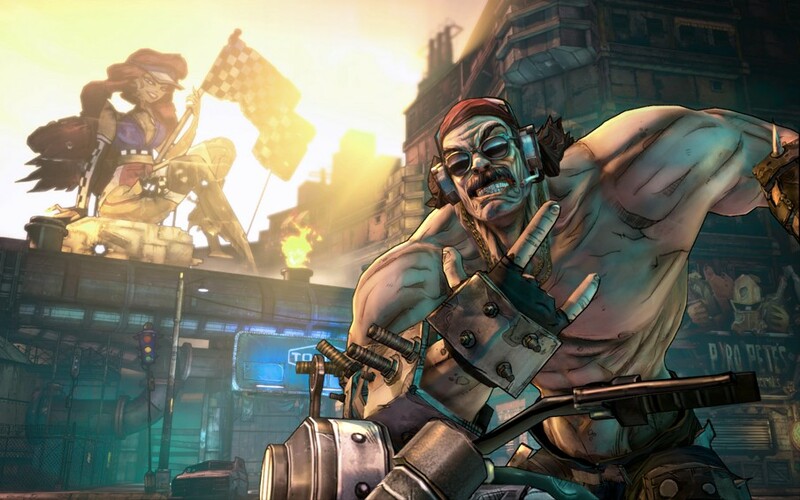 In fact, the way that Jack’s behaving is making me re-think Borderlands 2! I mean, really. If Jack is actually a good guy, then are the greedy Vault Hunters the bad guys? Aren’t we, the protagonists, the ones working with backwater hicks who are practically living in their own filth? I mean, Jack was trying to build a utopia, and what do we do? We show up and bomb it! But why? Because we are told that he’s bad? Maybe he blew us up because he knew something we didn’t? I may have to replay Borderlands 2 and look at it from a different perspective! But first I’ll finish the Pre-Sequel, get some more information. OK, time to get back on track. Sorry about that, I was talking about my mental break caused by this game, wasn’t I? So far, the story in Borderlands: The Pre-Sequel is very interesting, and isn’t part of the problem. Nor are the characters. As usual with the Borderlands series, the characters are lively and entertaining and a little lot bit insane. And she’s gay! What will they think of next? The real problem with this game and games like it are the monotony. When I get a mission, I know that this mission will be strung along for way longer than is necessary. I know that when I’m told to turn off a console, that there will be a problem and I have to go and get 3 pieces of whatever to fix the console, or that I have to flip 3 switches, or collect a key, or, knowing this franchise, shoot a dude in the groin and insult his haircut (though that is pretty damn funny, so it gets a pass). This sort of pointless extension of the mission is, more often than not, exhausting. It’s not really a challenge, as usually the only obstacle is killing like, twenty enemies and maybe one stronger-than-usual enemy, and it doesn’t advance the story. I know that we, as gamers, usually demand at least 40 hours of gameplay from our games, but if it’s pointless busy work, that’s not really what we’re hoping for. Another thing that can get extremely tedious is the collection aspect. 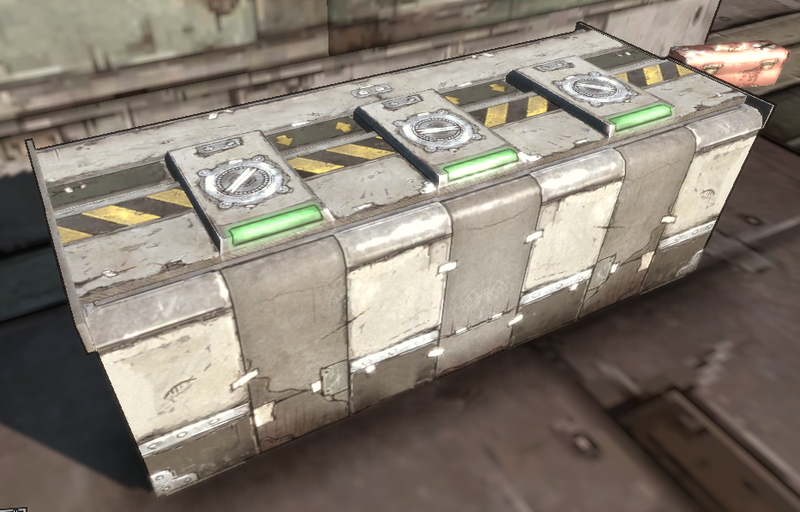 Anywhere you go, you’ll look around and see dozens of boxes or chests or safes with green lights on them. These green lights indicate that there’s something inside! How exciting! An unknown surprise lies in wait! Could it be an awesome gun or a huge amount of money? Maybe a badass shield or useful character mod? Certainly not disappointment! No way! The problem is, there’s usually not. It’s usually $2. Or a useless weapon that you’ll have to pick up and sell, cuz who would let that go to waste? Need to sell everything cuz then you’ll have money and you can maybe buy something awesome later! The game compels you to think like this. It wants you to think that anything and everything could be useful, when in reality you could breeze past 99% of the boxes and it wouldn’t affect your gaming experience one bit. But you don’t, you can’t. You have to peek inside every single chest and locker just in case there’s that one awesome item in there. It is an OCD nightmare. Then comes the fact that you’re killing the same enemies over and over again for hours on end. You kill a group, another group crops up almost immediately. You kill that group, sometimes a third group pops up! While this isn’t usually an issue, because shooting enemies in the face is kind of the point of the game, and it especially isn’t an issue when playing with others, as you want there to be enough to go around, it always has the potential to become a grind. I know some people don’t mind this, but when you want more of a challenge or at least some variation, it can be annoying. I know it sounds like I’m down on this game and games like it, I realize this. And sometimes, I am. The game is not perfect, and what I’ve talked about definitely is to the game’s detriment, but it is still definitely a lot of fun. And that’s really all that matters, is that I’m having fun. At least, I think I am. Hold on, let me talk this out. The story is interesting, the game mechanics work well for the most part, the characters are entertaining, the guns can be really cool, I want to keep playing, it doesn’t raise my blood pressure á la Call of Duty… OK, yes. Yes, I’d say that this game is fun. I like it! Unless it’s just tricking me into thinking that it’s fun and I like it. No, it’s just a game. It…it can’t do that, right? …Right? DON’T WORRY ABOUT IT! BLOW SOMETHING THE HELL UP! NO, THE EXPLOSIONS ARE NOT SIMPLY TO DISTRACT YOU FROM REPETITIVE GAME PLAY! YOU ARE HAVING FUUUUUUUUUN!!! I can’t handle Borderlands for the very reasons you outlined. Granted, I’m not a big FPS guy in the first place, but that kind of artificial extension of gameplay really turns me off. 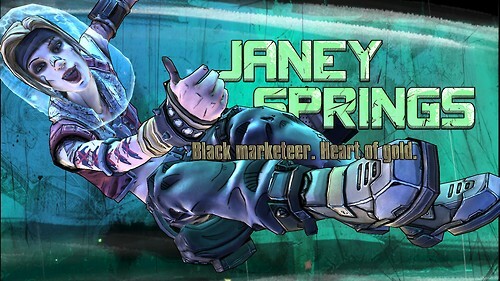 I love the humor and the art direction in Borderlands, but everything else about it makes me sort of weary. Which is something I totally understand. The padding of the game isn’t generally very fun, but the game play, humor and art do make up for a lot of it. Also, the story has been really interesting to me in this game, which helps keep me interested and having fun. I know my character’s motivation, where as games like Destiny I’ve heard it’s all very vague. So Leah and I beat it today. Overall it was pretty good. The Easter Eggs were fantastic, have found the 2001 and Super Mario rooms yet?? ?